Bitsum PeCompact 2.8x up to the latest Version a Virus? Executable compressors work by compressing selected portions of executables. At runtime, compressed executables are decompressed and reconstructed directly into their virtual image (memory) so that no data is ever written to the disk. The executable can therefore be run exactly as it was before without the user even knowing it was compressed. PECompact2 is a next generation win32 executable/module compressor. Commonly termed an 'executable packer', such utilities compress executables and modules (i.e. *.EXE, *.DLL, *.OCX, *.SCR). At runtime the compressed modules are rapidly decompressed in memory. PECompact performs better than other industry competitors in both compression ratio and decompression speed, but most importantly it is commercial ready software that is constantly updated and maintained. The decompression algorithms used by PECompact are optimized for maximum decompression speed. This results in the load time of compressed modules often being improved since fewer bytes must be read from the storage medium. Additionally, the compression ratio of PECompact is better than any general purpose compression software like ZIP, RAR, or 7-ZIP. This is because PECompact is optimized for a specific type of file format: executables. The compression ratio typically ranges from 70% to 80%, but varies depending on the specific module. Change.Core: Added support for ASLR (randomized image basing) executables in PECompact, PEC2GUI, and PETrim. Specifically, fixups/relocations are no longer stripped by default on ASLR enabled EXEs. 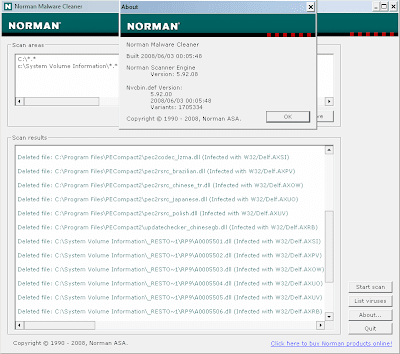 In previous versions, the user had to set /StripFixups:No for these EXEs to work in Vista and above. Change.Installer: Updated to NSIS 2.37. I am the author of PECompact. Thank you for reporting these false alarms. Lately the anti-virus companies have been extremely negligent in their behavior. I don't know what to do any more.. these companies really seem apathetic about the damages they cause. I've even had false alarms on software I don't even compress.. the problem is way of hand. I don't think I am alone in my frustration.